Feeds are back and we Find out Loveita and Sharry have been nominated for Eviction by Jared. Niki is complaining about how haggard and tired she is. She goes on about the game being so different compared to BBUK. 8pm HOH room – Jared is talking to Ramsey. Ramsey says this is your HOH and you and I know I’m not a threat to you. Jared says when this game changes we can utilize each other. Ramsey says I can so without a doubt if I was HOH I would not put you up. Jared says I am for sure putting up Sharry and Loveita. We look out for each others best interests and take other people out. Ramsey says I am just worried because you’re in an alliance with Kelsey. Jared says she has no influence on me. 12:30pm HOH room – Raul tells Kelsey that he woke up to her and Jared moaning at each other. (They slept in the HOH bed together.) I was like what the heck is happening. I got up and ran out of the room. Kelsey asks what? What? No we weren’t??! Shut up! That is why I wanted you in the bed because I did not want anyone to think we were hooking up. It was probably sleeping noises. Tim joins them. Jared says to be honest I think I’m putting up you and Loveita. 9:25am In the bedroom – Dallas talks to Maddy about plotting against Cassandra. Dallas talks about telling Jared about how he’d seen Cassandra bouncing back and forth. He says that’s the only way two people from our alliance aren’t going to go up on the block. Because as it stands right now I would bet my life its going to be Loveita and Sharry. I feel like they’re desperate so what I’m trying to f**king do is plot against Cassandra. 12:40am – Main Bathroom – Sharry, Kelsey, Loveitta, Casandra Conversation about Loveita’s nominations. Big Brother Canada 4 – Jared is the Head of Household! Big Brother Canada 4 – Wildcard & Eviction Episode Spoilers! At the end of the first episode the house guests competed in the first HOH called “One Night Stand”. Arisa had the house guests vote on two questions prior to the competition. Joel was voted least likely to win so if he isn’t the first one to fall off he will get safety for the week. Nick was voted most likely to win. If he doesn’t win he will be stuck in isolation for the night. Cassandra fell off first and therefore Joel won safety for the week. The 15 new house guests have been living in the big brother Canada house for six days now and they’re still getting to know each other. However, things are already starting to heat up with Dallas, Kelsey and Cassandra. In the sneak peek video below the house guests are relaxing in one of the bedrooms and Dallas is cuddling up to both the girls. From the sounds of it Nick and Phil are getting a little jealous of the attention Dallas is getting and they suspect it has something to do with his beard. The première of Big Brother Canada 4 is finally here after months of preparation. Last week we learned the identities of the 14 all new cast members, the 4 wild card international fan-favourite house guest choices and a leaked spoiler about Philippe Paquette brother Nicholas also being in the house. At the beginning of this week we finally got to see the newly redesigned house photos and video tour. The première of Big Brother Canada 4 is set to air tonight at 9pm ET/PT and we’re lucky to get a sneak peek of the house guests entering the newly redesigned house and introducing themselves. It’s almost that time and we’re excited to start a new big brother season. Last season the live feeds started after the Thursday night episode so we’ll have to wait and see if they’ll be on tonight or tomorrow. 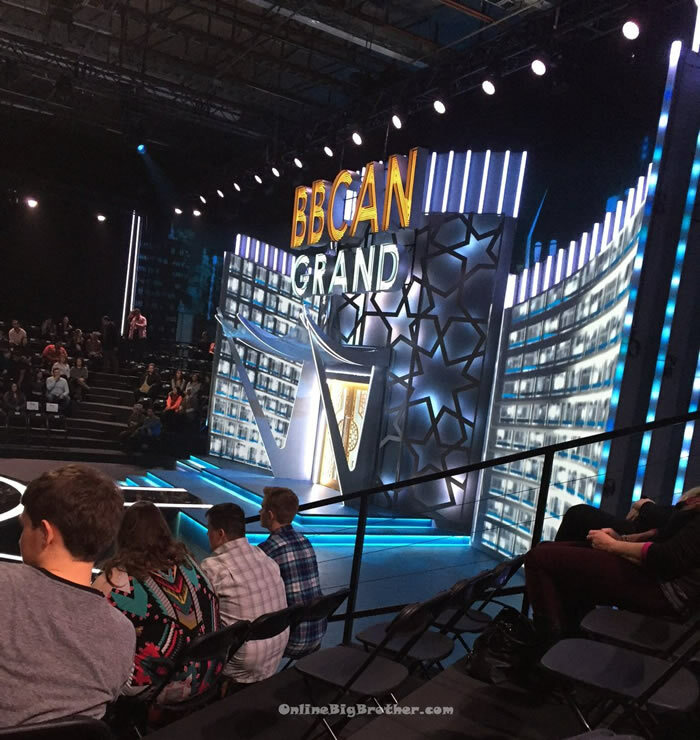 The first episode of Big Brother Canada 4 is beginning to be taped today with an audience showing host Arisa Cox letting the 14 new house guests enter the house in groups. The newly redesigned house still hasn’t been released and won’t be until Monday, February 29th. However, due to having a studio audience of Big Brother fans its inevitable that spoilers about the house and first episode would be leaked. The all new cast of house guests are starting to be released today for the 4th season of Big Brother Canada that is set to première on Wednesday, March 2, 2016. There are 14 new house guests along with the two fan voted international favourites that will be moving into the newly redesigned house a few days before the première. Below are the bios of the first 7 released house guests with the remaining 7 to be added as they’re released.